A bit of costume sewing and it is not even Halloween, lucky me! First I have to show you how AWESOME my Bernina is...thick layers and did not even hiccup! I love my Bernina! Darth Vader is completely frustrated with the cape that was sewn incorrectly the first time! This is Jeff's drawing for my sweet Sara for her birthday! Hysterical!!!! So, with my voice returning ( the people of the house are not thrilled at this news) and hopefully well children for more than one day, I will be able to finish my fishy friend quilt in a few days!!! 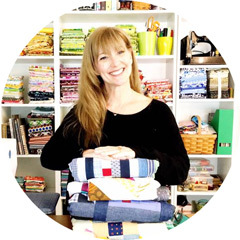 I have an awesome idea for the quilting using some new thread from Auriful!!!! I am so excited I cannot wait for the rain to stop so I can get good photos!!!! 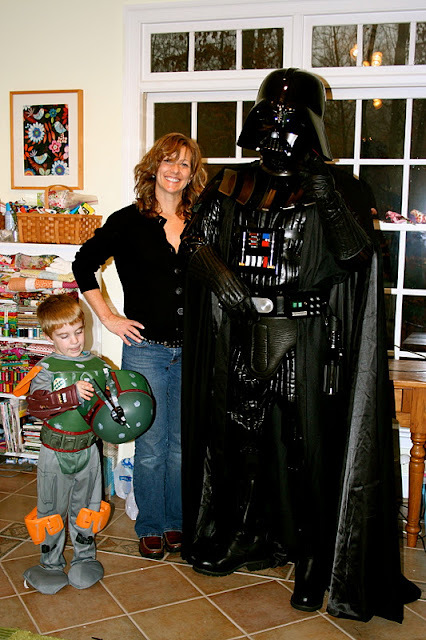 Labels:sewing,quilting,fabric,family "Bernina", "Darth Vader costume"
Did you make that Darth Vader costume? OMG! It is amazing- you are a rock star! No, I just did some simple pleats and some finishing work on the cape, small things really. I think we are going to make the inner coat and the cape from scratch, they were not done correctly,imo and they are driving me CRAZY! Jeff did make the helmet and it is stunning!!!! Fantastic photos! Those costumes are fabulous! The drawing is great. 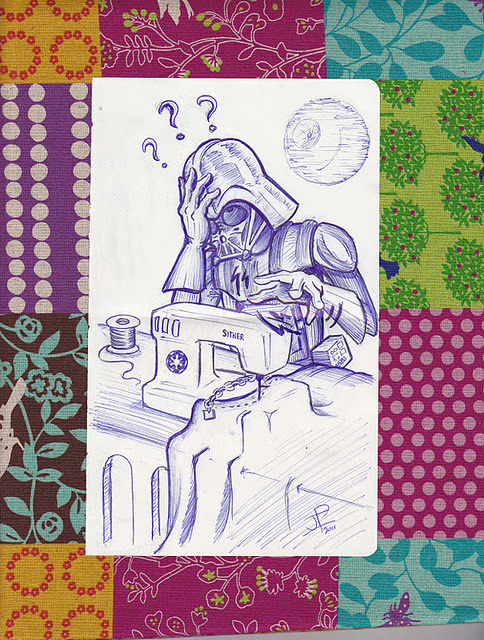 I don't think I've ever wanted something so bad in my entire life as that Darth Vader at the sewing machine picture. My screen name for many things is madam vader. I have a "minor" Star Wars obsession seconded only by my modern fabric obsession. If you ever make prints to sell, let me know and I'll be first in line! !